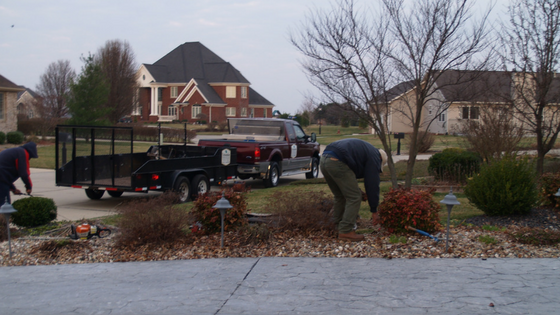 #1 Improving Aesthetic Appearance – Adding a fresh layer of mulch to planting beds and tree rings in spring is a great way to give your landscape a fresh clean look – one that will keep it looking well-maintained and cared for all year long. #2 Protect Plants – Use mulch around your valuable trees and shrubs to create a protective barrier between vulnerable trunks and lawn equipment, like mowers and line trimmers. 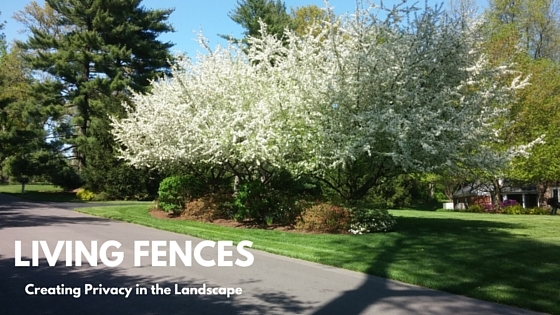 Wounded plants are far more likely to attract damaging pests than their undamaged neighbors. 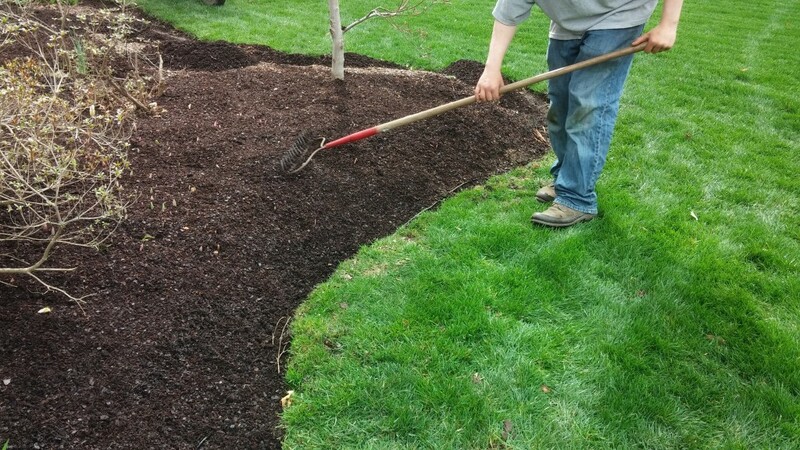 A fresh layer of mulch in spring can make a world of difference in the aesthetic appearance and overall health of a garden or landscape bed throughout the year. #3 Conserve Soil Moisture – Spend less time watering this summer by applying mulch in spring. The protective cover of mulch keeps soil cool and moist during even the hottest of summer days. #4 Moderate Soil Temperature – Mulch naturally creates an insulating cover over roots and soil, protecting shallow rooted plants from temperature extremes year round. #5 Suppress the Weeds – Most weed seeds are unable to germinate if buried too deeply in the soil. By adding a 2-3 inch layer of mulch in spring, you can significantly reduce the amount of time they’ll spend weeding throughout the rest of the year. #6 Provide Nutrients – At its most basic, mulch is nothing more than decaying plant matter. In nature, fallen leaves and other organic matter coats the ground and is broken down by a diversity of fungi, bacteria, and other organisms, releasing important nutrients back into the environment over time. #7 Improve Soil Quality – Soils with a high organic content do an excellent job of improving the structure and function of soil, reducing compaction and increasing water drainage and retention. 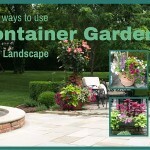 In short, mulch creates an optimal environment for growing healthy landscape plants. #8 Increase Biodiversity – Healthy soils support an incredible biodiversity of life that plays a beneficial role in our landscapes; improving everything from water movement and plant nutrition to resistance to erosion. When done properly, mulching can enhance your garden or landscape while cutting down on maintenance. Over the years, our staff has observed six simple do’s and don’ts for mulching in the garden or landscape. 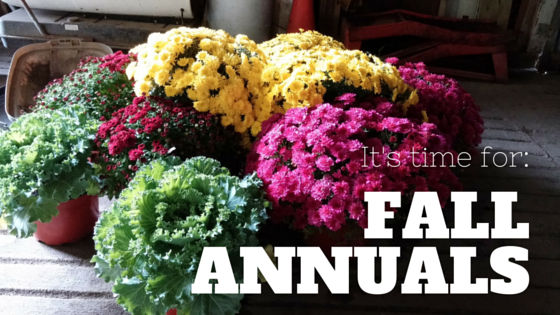 Follow these basic guidelines to make the most of your mulch this year! Determine if you need to refresh or replace. Beds that already have a 1-2 inch layer of mulch typically need a 1 inch layer to refresh, to maximize weed suppression and root protection, and to freshen up the overall appearance. Mulch layers that are an inch or less essentially need to be replaced, so add mulch until you attain an even 3 inch depth. Use a quality mulch. While it’s true that most homeowners can pick up free mulch from their local municipal yard waste location, it isn’t necessarily a wise idea. More often than not, homeowners inherit their neighbor’s garden pests and diseases, potentially causing costly problems over time. Mulches that are sold by nurseries and garden centers have been carefully processed to kill off weed seeds, pests, and diseases. 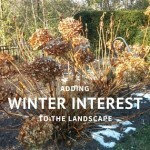 Clear the area of weeds before mulching. Mulch is an effective way to suppress weed seeds but doesn’t do much against mature plants. Also, you’ll achieve a much smoother, cleaner look without all the lumps and bumps of covered weeds. 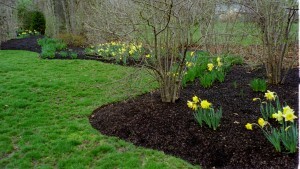 Allow your mulch layer to become more than 3 inches deep. More than that, and the mulch will begin to limit air and water movement to and through the root zone, harming your plants. Create mulch volcanos. Mulch should be pulled back from trunks and stems by about 4-6 inches to promote air circulation and water movement. Any closer and you’ll run the risk of creating an ideal habitat for harmful bacteria, fungi, and insects. Use mulch that smells awful. There’s a science to creating a great mulch, and toxic mulches can occur when the composting process isn’t done correctly. Have Questions, Comments, or Concerns? Drop by our Facebook page and let us know!